Until your child’s food preferences mature, consider these tips for preventing mealtime battles. If your child isn’t hungry, don’t force a meal or snack. Likewise, don’t bribe or force your child to eat certain foods or clean his or her plate. This might only ignite — or reinforce — a power struggle over food. 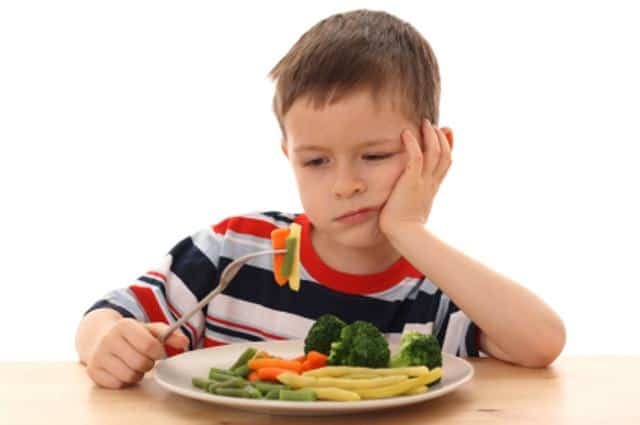 In addition, your child might come to associate mealtime with anxiety and frustration. Serve small portions to avoid overwhelming your child and give him or her the opportunity to independently ask for more. Serve meals and snacks at about the same times every day. Provide juice or milk with the food, and offer water between meals and snacks. Allowing your child to fill up on juice or milk throughout the day might decrease his or her appetite for meals. Young children often touch or smell new foods, and may even put tiny bits in their mouths and then take them back out again. Your child might need repeated exposure to a new food before he or she takes the first bite. Encourage your child by talking about a food’s color, shape, aroma and texture — not whether it tastes good. Serve new foods along with your child’s favorite foods. Serve broccoli and other veggies with a favorite dip or sauce. Cut foods into various shapes with cookie cutters. Offer breakfast foods for dinner. Serve a variety of brightly colored foods. At the grocery store, ask your child to help you select fruits, vegetables and other healthy foods. Don’t buy anything that you don’t want your child to eat. At home, encourage your child to help you rinse veggies, stir batter or set the table.